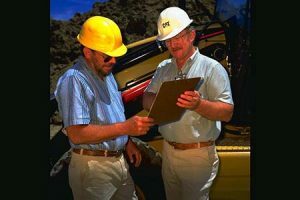 A Customer Support Agreement (CSA) is a flexible, all-in-one solution for equipment repair and maintenance that takes the uncertainty out of your monthly service budgeting. A CSA stabilizes expenses on a month-to-month basis, so you can get the peace of mind that comes with knowing all of your equipment is well-maintained. You already know the importance of keeping your fleet of heavy equipment running its best. Save money and do it right with a CSA! As your exclusive Cat dealer in eastern North Carolina, Gregory Poole is a dedicated partner of all government agencies in the region whose fleet includes Cat or allied machines. You likely already know that Cat equipment delivers consistently low maintenance requirements and costs. With a CSA, you can save even more while freeing time to focus on growing your business. Between hiring technicians, maintaining tools and managing a dedicated service center, caring for a fleet of heavy equipment is a full-time job, one that requires considerable amounts of time and money. For government agencies on a budget, these are resources that are actively being diverted from your actual work. A Gregory Poole CSA places these duties in the hands of our expert staff. We have the trained people and facilities in place to do this work already. Outsource it to us, and you can concentrate on delivering the best service possible to your clients. Is my fleet always available when I need it? Are we performing important service consistently at the recommended intervals? Am I being proactive about preventative maintenance and taking full advantage of the diagnostic tools available to me? Are we doing a large percentage of repairs after the part or equipment has failed? Are my operating costs too high? Are fleet management issues affecting my ability to pursue new bids and grow my business in other ways? If you answered yes to any of the above questions, a CSA can benefit your organization. For pricing, options and other information, speak with a Gregory Poole representative today.